Your marketing strategy is working! All of the time, effort, and money that you put into meticulously planning every detail of your campaign was worth it. You now have a process that’s generating new leads for your business, day in day out. Those leads aren’t going to turn themselves into customers ya know!? But every business needs a solid sales process that enables you to sort the wheat from the chaff, focus your time and energy on the highest quality leads and close the deals that will allow your company to grow. In this post, I’m going to be talking about some of the basic methodologies behind an inbound sales process and giving you some examples of how you could set one up with Ontraport. First things first, it’s important to remember that all leads aren’t created equal. You will inevitably receive enquires from spambots, outsourcing companies, your competition trying to peek at your processes (how dare they! ), and users that are generally going to be terrible to work with. We would class these types of inquiries as “dead” leads. BUT, if you’ve targeted the correct audience with your marketing and your message is on-point, genuine inquiries should reign supreme. Broadly speaking, your genuine enquires can be split into 2 groups – “warm” and “hot” leads. These are people that look like a good fit for you to work with and should be dealt with in priority order. So, how do you set up a “filter” so that you can focus your efforts on speaking to the bonafide hot leads first? The best place to start would be to make a list of the most important traits that your ideal customer or client has. Then, you need to gather information from the potential client so that you can see if they fit the bill of being one of your ideal prospects. 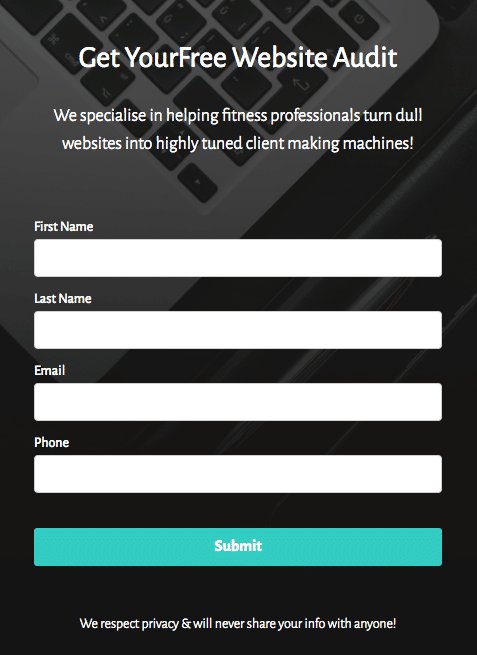 You’re a web designer that works in the health and fitness niche and you offer a free website audit to get prospects through the door. Now, this isn’t to say that you won’t work with anyone else, far from it. But the point here is to list the ideal client. In this example, I would suggest qualifying the leads by creating a 2 step optin form that gathers basic info on the first step and more detailed info on the second step. I’d recommend wording the questions in form step 2 with a bit more tact, but you get the idea. 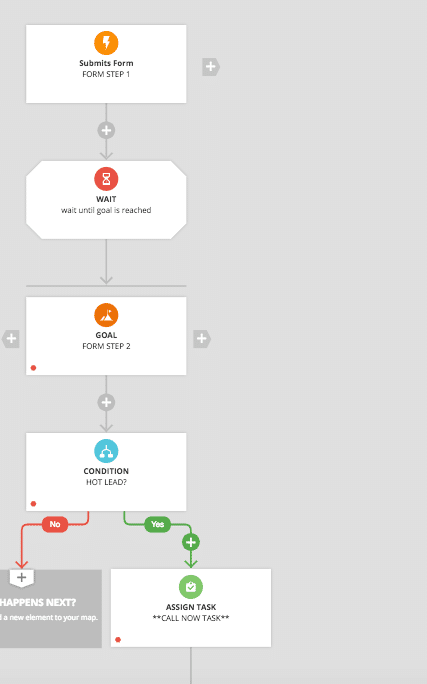 By capturing the information in step 2 you can analyze and determine whether this lead is HOT or NOT. Now obviously, qualifying your leads is a must if you’re generating a lot of inquiries. You’ve still got to sift through all the leads and sort them into the good, the bad AND the ugly, one by one. Any decent CRM system should be able to take the information from the optin forms shown in the example above. Sort and score the data based on some simple criteria. Then, notify you of the very best sales opportunities for your business. This is called lead scoring. Fortunately, Ontraport is one of the best systems in the world when it comes to setting up a robust lead scoring process. I’m not going to delve into the ins and out of how you should set up your lead scoring system in this post as it is different for every business and we don’t have time to go down that rabbit hole just now. But I do intend to record a video tutorial on this topic soon, so you should subscribe to the Ontramaster YouTube channel if that’s something that you’re interested in seeing. So, we’ve gathered the information needed to qualify our leads and we’ve used Ontraport to set up a totally automated process to score the leads. We now need to create different processes to treat the potential clients in the best possible way. 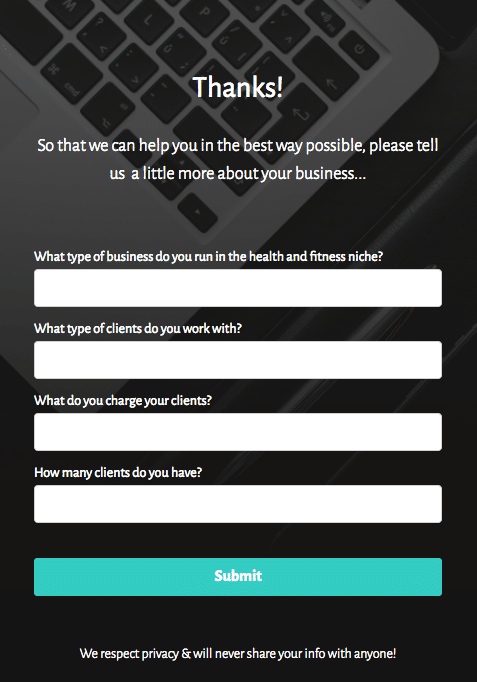 You’re a Personal Trainer offering a free 30 minute “over the phone” nutrition assessment. The goal of the free nutrition assessment is to build rapport, give upfront value and gain trust with the prospect and then upsell them into one of your 1 on 1 training packages. You’ve just had a new lead submit your 2 step inquiry form and on the second “qualifying” step, they answered all of your questions positively and Ontraport has scored them as a hot lead. Now, it’s always best to strike while the iron’s hot to make sure that you have the best chance to speak with the potential new client while they are actively interested in your offer. So, in this case, you would want to be notified straight away that this lead has come into your system so that you can put off all non-important meetings and “to-do’s”, pick up the phone and call the prospect ASAP. You can easily achieve this with Ontraport via “tasks”. By using Ontraports powerful campaign mode, you can set up a simple yet effective campaign that creates a task for you to call the hot lead as soon as it comes in. That task can also notify you via email or SMS immediately so that you can waste no time in reaching out to your potential new client. Let’s take the same scenario as above, but this time around your new lead filled out your 2nd step and gave all of the answers that you would associate with a warm lead. Let’s say that they answered 1 of your qualifying questions positively, but the rest of the answers you’d associate with someone who wasn’t ready for your 1 on 1 training packages just yet. As this lead could still turn into a client for you, they should by no means be ignored, but you might not want to take the “drop everything and call now” approach like in example 1. In a new campaign for your warm leads, have Ontraport send an email thanking your prospect for their application for their free 30-minute nutrition assessment and ask them to email back immediately to book a time with you. You can also use this email to welcome them to you and your brand to build some trust and rapport. Next, have Ontraport create a task for you to call them within the next 24 hours and drop you an email to notify you so that you don’t miss the opportunity. This way, you’ve contacted the prospect immediately via email, and you have set a reminder to call them if they do not reach back out to book a time with you first. You can see from these two simple examples that the flexibility you get with Ontraport’s campaign mode really allows you to get creative with your follow-ups. I’d advise really spending some time mapping out a process that’s right for you and your business. 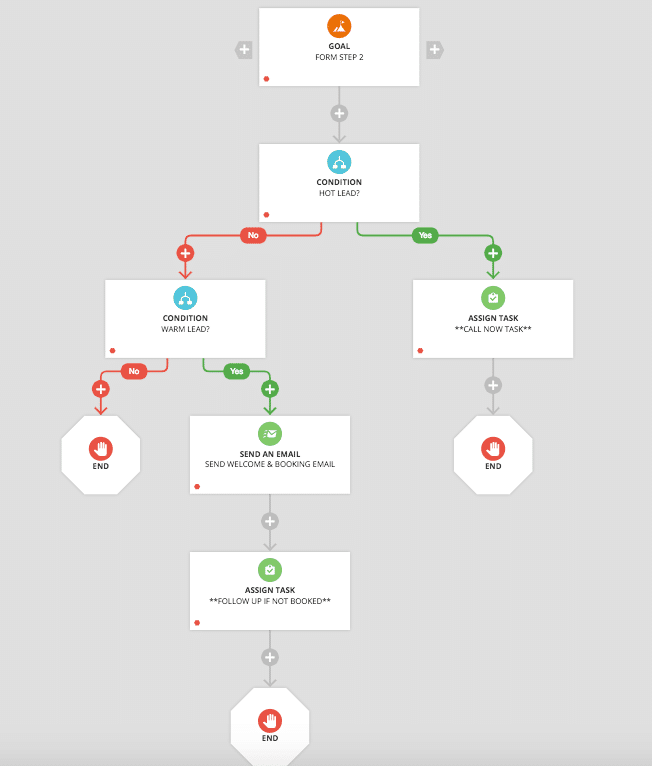 If you don’t have time to map out an inbound sales process like this or you’re afraid you’ll set it up wrong, book a free discovery call with me today and we can talk about how best to get something working for you. Now for the most important part, closing your leads and turning them into new customers. In most business cases, excluding retail, the sale will happen after you have a “sales” conversation with a prospect to get to know them and inform them on how you can help solve the problem they reached out to you about. Put the effort into creating a robust call structure than you and your team can follow. This is more important than most people think. Structures and scripts will change and evolve over time but having a backbone for the conversation really helps with call flow and confidence. No one wants to be chasing sales decisions for months on end. At the end of your sales conversation, if appropriate, make the prospect an offer to incentivise a quick decision. Example – “You’ll get 50% off your first month’s fee if you make a decision in the next 10 days”. Book the next call or meeting (the decision) before you end your sales conversation and part ways. This is a super important step that is easily missed. So, I’m going to wrap this one up here. Thanks for sticking with me and reading this far. Hopefully, you’ve managed to take at least one thing of value away from this post that will help you to build a better and more robust inbound sales process. Being an Ontraport Certified Consultant, I’m always happy to help out with any questions you may have so please feel free to get in touch via the chat box in the bottom right or drop me a comment in the section below! Need Help Building A Sales Process In Ontraport? Book your free project discovery call with me today so that we can discuss your needs.